We are in the thick of December and holiday parties are already underway. 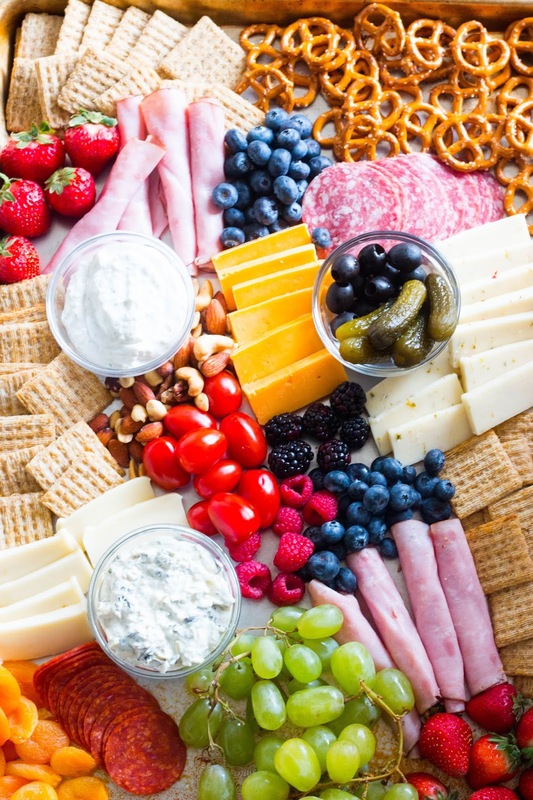 A huge trend the last year or so has been making fun and elaborate Charcuterie Boards for holiday parties and gatherings. I've been itching to make one for ages and thought that the holiday season would be the perfect opportunity to make it happen. Growing up my parents always hosted friends during the holiday season and winter months. 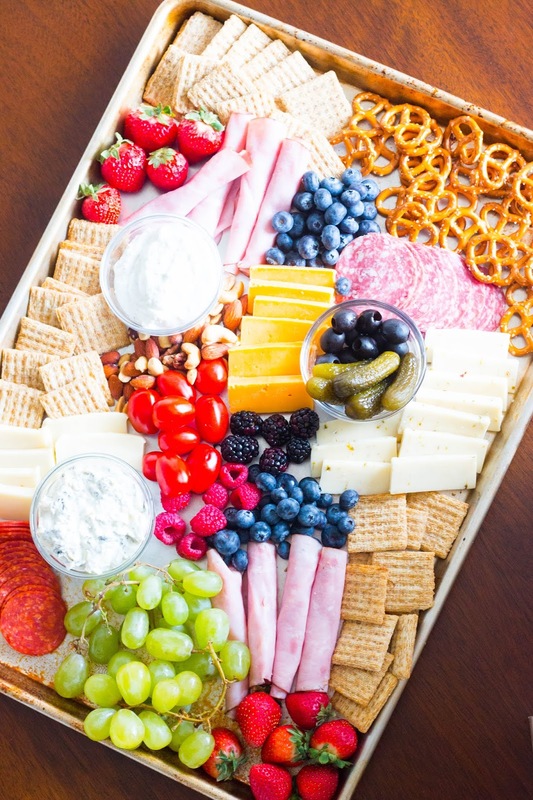 My dad was always making what we called, "picking platters" which were simply the 1990s version of what we call Charcuterie Boards today. He always had delicious things laid out like various cheeses, apples, meats, and of course Triscuit Crackers. When it was time for us to host a holiday gathering last weekend, I headed out to my local Walmart store to get everything I need for our own take on a Charcuterie Board. Making these boards isn't nearly as difficult as one might think. To start, you're going to want to head to your local Walmart and gather all of your supplies. 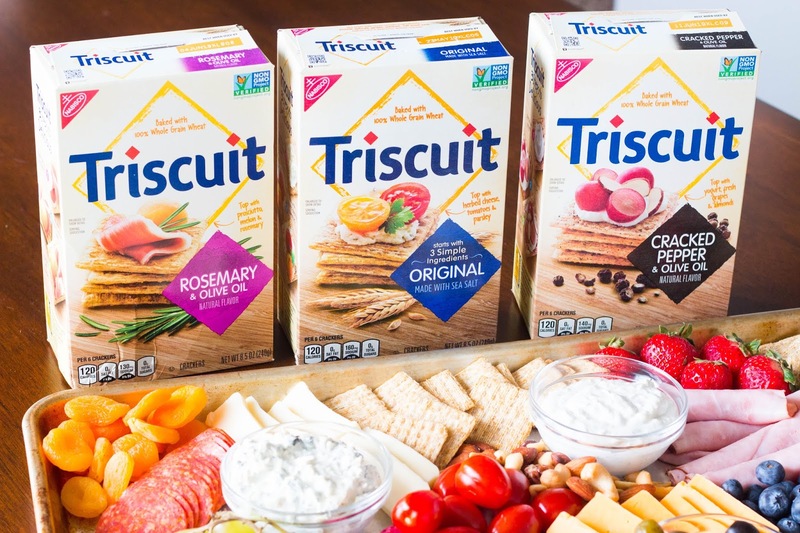 For our board, we gathered three different types of Triscuit crackers. We grabbed the Original, Cracked Pepper, and Rosemary and Olive Oil. 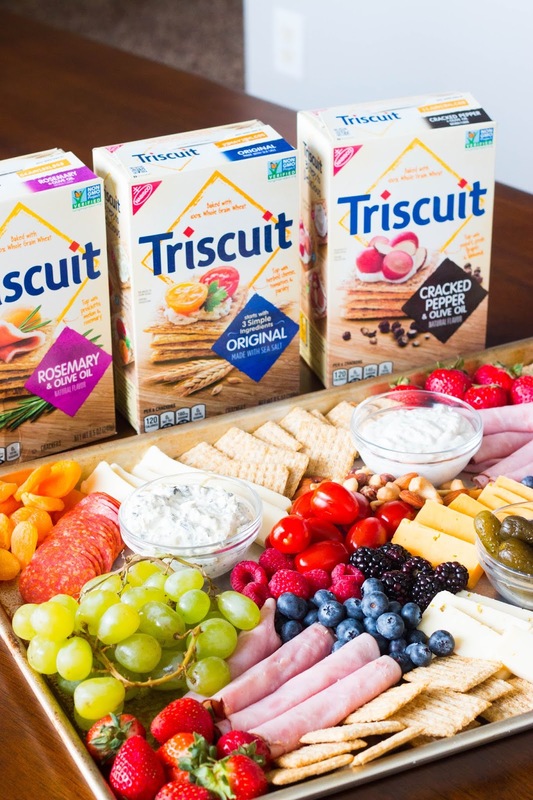 Each flavor is bound to spark the interests of one of your guests, and the best part is that Triscuit has such a large variety, that there really is something for everyone. Once you have your Triscuit crackers decided on, you'll need to pick up some more items. We grabbed: spinach dip, onion dip, gherkins, black olives, pretzels, mixed nuts, cheddar, pepper jack, and mozzarella cheese, four types of berries, grapes, ham, pepperoni, salami, and cherry tomatoes. Once your supplies are gathered, it's time to assemble the board. If you're not visually artistic, you can simply search for a board on pinterest (or hello! this post right here! ), and use it as a guide for you to place all your items in way that looks visually appealing for your crowd. It really is a super simple process that seems a lot more intimidating than it really is. I've made a video for you at the bottom of this post!